What are all these hospital charges!? It’s been a week since you arrived home from your stay at the hospital for your surgery. You check your mail and a bill from the hospital has arrived. You expected to owe a small amount after the insurance company made their payment, but when you opened the bill, you were shocked to see a six-page long bill. You’ll notice on your bill that every pill, lab test, and x-ray is listed separately. Hospitals know that if they itemize everything they can collect more money from insurance companies. You cannot tell by looking at the bill what was paid for and what was not because every item is listed separately. This is why it is especially important to know exactly what is covered by your insurance, and what isn’t. 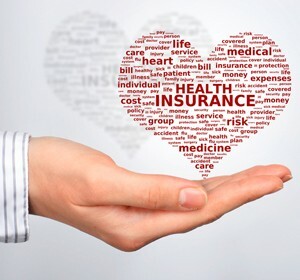 What types of health insurance are there? Private Insurance: Private insurance comprises the insurance companies—Blue Cross, Aetna, Oxford, etc.—with which you’re likely familiar. Most of these policies do cover hospitalization. Most also do have both a deductible and co-insurance. Medicare is for Seniors and the Disabled. The federal government runs this program so it is consistent nationwide. What is an HMO? A Health Maintenance Organization (HMO) is a type of managed care wherein you are limited to a set list of doctors and hospitals. Under this type of health insurance, you pay a fixed amount per year. You receive visits, hospital care and specialist visits, but may be responsible for co-payments. What do I need to know about insurance before going to the hospital? In this day and age it pays to know a little about hospitals and insurance. Be sure to know your exact benefits and what is covered for your hospitalization and surgery prior to admission so there are no surprises. Call your insurance agent, or ask your doctor’s office for assistance—they have experience dealing with insurance companies. One very important point about billing and hospitals is that the CPT and ICD-9 (soon to be ICD-10) code must not only be correct, but they must match. Claims frequently get returned and denied because someone at the hospital or doctors office entered the wrong code. If you’re not initially told why the claim is denied, it may be too late to correct it by the time you find out that someone made a simple mistake. What do all those insurance terms mean? Common Procedural Terminology (CPT): This is a number that is used by doctors’ offices to tell the insurance companies what procedure you are having done. ICD-9 (International Classification of Disease, revision 9): This is a number used by doctor’s offices to tell the insurance companies what your diagnosis is. Diagnosis Related Groupings (DRGs): This is a flat fee that is paid by government insurance programs to hospitals for procedures. It is for a fixed number of hospital days regardless of whether you stay that long or not. Length of Stay (LOS): This is the amount of time that you spend in the hospital. Utilization Review: It is a process that hospitals use to keep costs down. Many times reviewers are nurses who spend their days reading charts deciding which cases to expedite (i.e., push to discharge), and then contacting the attending to encourage expedited discharge. Deductible: This is an amount that must be paid before the insurance company pays anything. Typical deductibles are $200-500, but current high deductible policies can reach into the thousands of dollars. Co-Insurance: After your deductible has been met, your co-insurance kicks starts. This means that you are responsible for a percentage of the next few thousand dollars in charges. Lets look at an example: Policy X has a $500 deductible and 20% coinsurance for the first $5,000. For a $7,500 medical bill that is totally covered by the policy, you would be responsible for the first $500 (the deductible); you are further responsible for 20% of the next $5,000 (or $1,000); the remaining $2,000 will be paid entirely by your insurance. In this example your total liability is $1,500. However, if your insurance company doesn’t cover the whole $7,500 for this procedure (“allowed charges”), you would be responsible for 100% of what isn’t covered. Co-Payment: The Co-Payment is different from co-insurance in that it is a set amount. It is often seen, for example, in HMO’s. It can vary widely from as little as $5 to as high as $50 or more. These fees are separate from your hospital bill. Expect to receive separate bills from your attending and any consultants, anesthesiologists, pathologists, laboratories… ad infinitum.